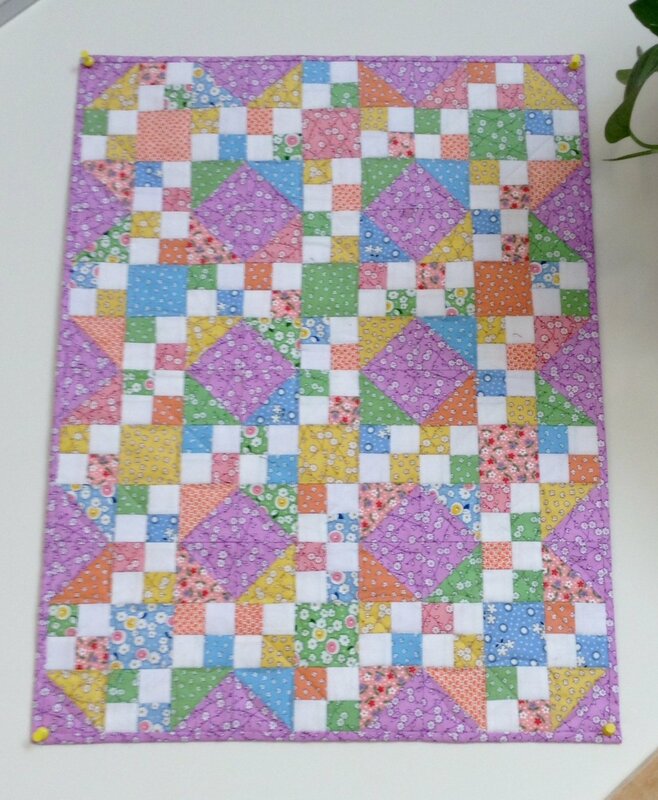 This is one of the patterns from The Simple Whatnots Club by Kim Diehl. Here's a chance for you to see what the Simple Whatnots Club is all about. Our version of Meandering is done in Thirties Reproductions and finished quilt measures 18 1/2" x 24 1/2"
The kit includes the pattern and all the fabric for the top. The backing and binding are not included. Click HERE for more information regarding the Simple Whatnots E-Club at WashTub Quilts.